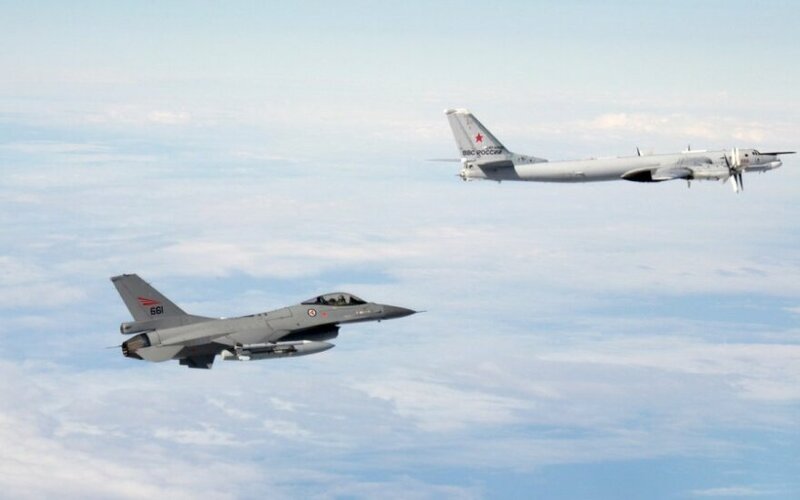 Between 9 February and 16 February, NATO air policing fighter aircraft patrolling the Baltic airspace were scrambled four times to intercept aircraft flying along the route between Mainland Russia and the Kaliningrad Oblast in international airspace near the borders of the Baltic states, Lithuania's Ministry of National Defence said. A Russian IL 20 ELINT reconnaissance aircraft was intercepted twice, in both cases it was flying according to a pre-filed flight plan and maintaining radio communication with air traffic control centre but was not using its onboard transponder. A Russian IL-38 maritime patrol aircraft and anti-submarine warfare aircraft was also identified twice: first, when navigating along the borders of Kaliningrad in international airspace without a flight plan submitted in advance, without onboard transponder and no radio communication, then - according to a pre-filed flight plan and maintaining radio communication with air traffic control centre but minus working onboard transponder.